You are currently browsing the Collector Model blog archives for February, 2017. As we head into spring, it’s time to start thinking about something sporty. Something fun. Something, imported? AMT is proud to announce that it will be bringing back the Datsun 280 ZX Turbo this spring. Featuring a detailed turbo charged engine, t-tops, and “snowflake” wheels, this kit’s simplistic styling never grows old. 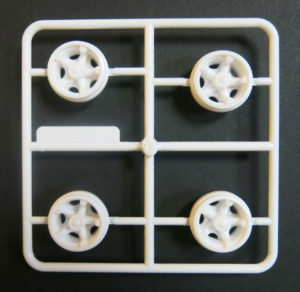 The packaging includes all new detailing photos to better assist the builder with “making it real”. 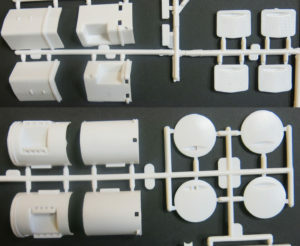 Speaking of which, being the real car was offered in more than one color, we decided to have it molded in white! So builders will have a better base to start with – when it comes to picking that right color for your 280 ZX. Cause sometimes… black may not be what you’re looking for. So keep a lookout for this sleek little beauty. 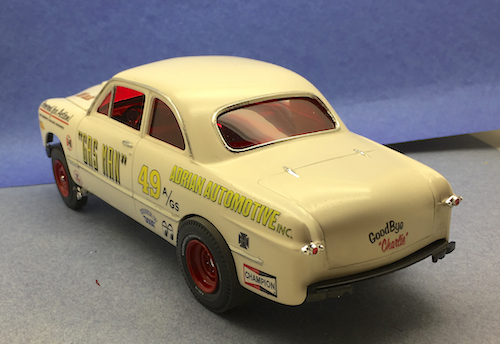 Headed to a hobby store near you (or online), in all it’s 1/25 scale style, later this spring. Gold stripes included. KAT Chat: February 14th, the day of LOVE… and we LOVE to see YOU build! It’s great fun and a privilege to be stewards of the AMT and MPC brands. While it can be a real challenge to piece some of the old tooling back together, to recreate an “early” release, it’s very satisfying when the end product presents the way you want it to. 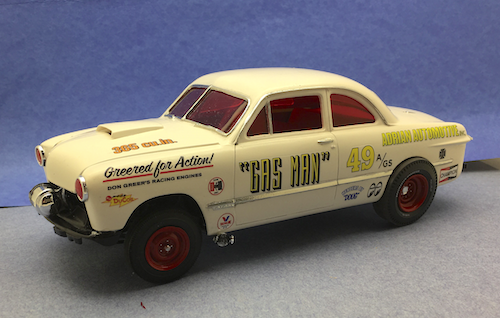 The recent Gas Man ’49 Ford release was a bit of a hybrid. There was never a box with the Gas Man drag car on the face of it. The illustration always appeared on the side. It was modeling enthusiast and all around good guy, Don Banes, who suggested the idea (years ago actually) of putting it on the face of the box and we couldn’t agree more. Having the opportunity to work with veteran AMT artist Don Greer to recreate the painting and making it all happen was incredibly cool. However, and to the point of this post, it’s just as rewarding to see someone build these cool kits! We just happened to get photos yesterday of a groovy GAS MAN build from mad-man modeler (and Kool Kat) Todd Sargis. What can we say, we LOVE it! 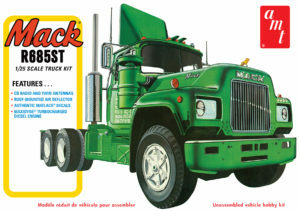 The folks here at AMT are happy to announce the reissue of the Mack R685ST 1/25 scale truck kit! Returning in big fashion, the Mack R685ST includes original features and then some. With over 280 super-detailed parts, including: a CB radio and twin antennas, roof-mounted air deflector and Maxidyne turbocharged diesel engine, this big rig kit is sure to make all the truck builders happy. And if that’s not enough, this Retro Deluxe release now includes: retooled rear spoked wheels, two fuel tank options and an expanded decal sheet with NEW cab stripes and company logos! So, to all the truck guys out there, keep a look-out for the white box with a green R685ST. Coming this spring to a hobby store near you.